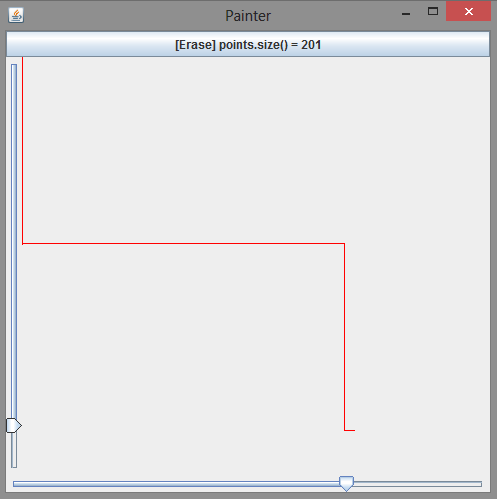 This application has two JSlider s which paint a JPanel as their values change. The JSliders represent the coordinates of the JPanel to paint. A clear button clears the Panel.